Do you ever tire of doing the same thing day in and day out? Just like the same routine at the gym gets old rather quickly, or watching Friends and Seinfeld reruns on end, the homeschool routine gets worn out as well. Many home education parents benefit from multiple resources to change it up a bit. 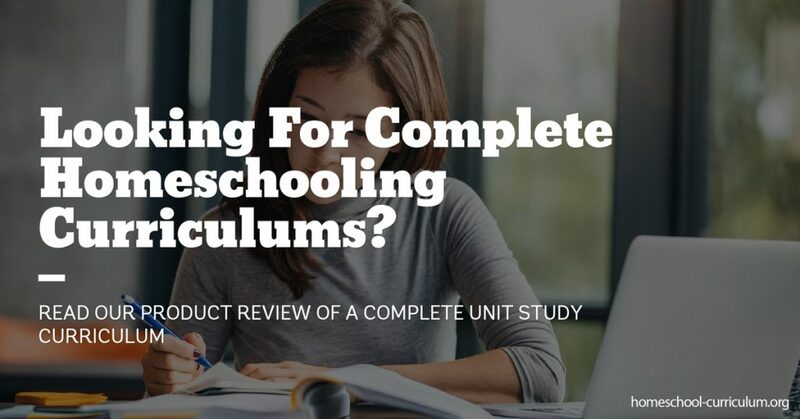 I most recently tried the unit study from homeschoolcomplete.com which has wonderful reviews from homeschooling experts. These unit studies range in price from as little as $9 up to $18 and incorporate multiple subjects allowing teaching to be more effective. They include interactive learning, projects, experiments, hands-on experiences, and much more. Some of the unit studies available teach about seasons, holidays, famous people in history, and bugs, just to name a few. The skills in each unit study book range from language arts, to mathematics, social studies, science, fine arts, and fitness, even the Olympics! Homeschoolcomplete.com offers unit studies appropriate for children in kindergarten through sixth grade. My son and I were preparing for a trip to Washington, D.C. and purchased the U.S. Symbols unit study for $11. Inside this particular unit study, we had the opportunity to exercise high level thinking and problem solving skills as we navigated through the four different lessons. We had the opportunity to read about our American flag and the symbolism of the stars and stripes. We also gained a new perspective on learning when we decided to incorporate a religious aspect in our hands-on history lesson of the Liberty Bell. You can choose to skip or teach the religious aspect of the unit study to fit your home education goals. Don’t settle for the reruns of sitting at the kitchen table every day. Try new things because you might find it’s just what your children need to retain information and grasp concepts more easily. There are so many homeschool resources online, at your local library, or within your community that can help spice things up at the kitchen table. Check out homeschoolcomplete.com for a full list of available unit studies so you can keep your child engaged in learning. For more information about unit studies and how to homeschool effectively, subscribe to our website. Can I Homeschool and Still Have a Life? I do really find this supportive.